During the Symposium on 3/17, the AA’s latest publication, O-14 Projection and Reception by Jesse Reiser and Nanako Umemoto will be sold. It will be autographed by the editors and contributors of the book. Limited copies will be available for first come first served. Symposium will bring the editors and contributors of the AA's latest publication, O-14, Projection and Reception to Tokyo, and discuss the making of books as well as making of buildings as a form of research. 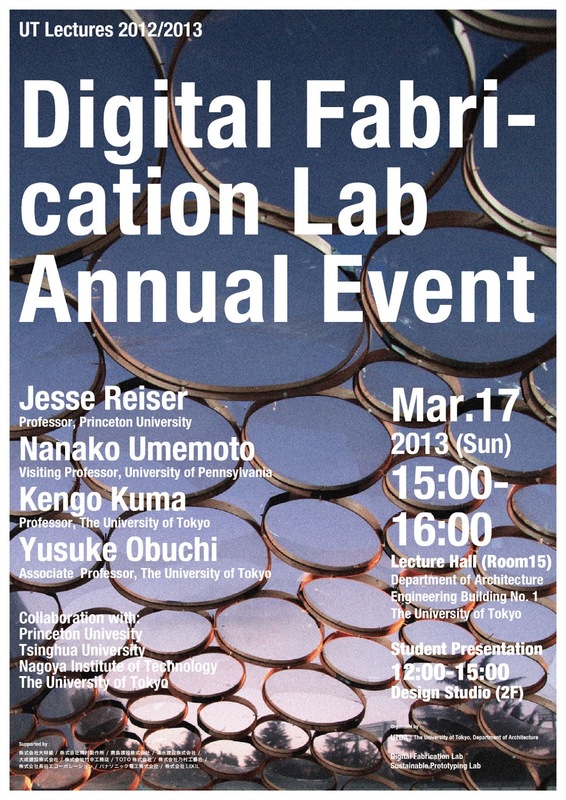 Digital Fabrication Lab(DFL) is organizing its annual event on March 17th(Sun). The event will be joined by Jesse Reiser and Nanako Umemoto and students from Princeton, Tsinghua, and Nagoya Institute of Technology who will present their studio projects at the University of Tokyo. 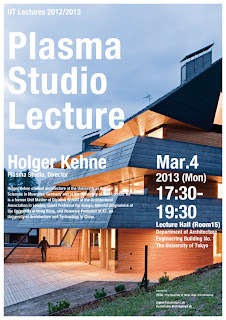 Kengo Kuma and Yusuke Obuchi are going to speak about the DFL’s activities during the year of 2011-2012 and future plans for the coming year. 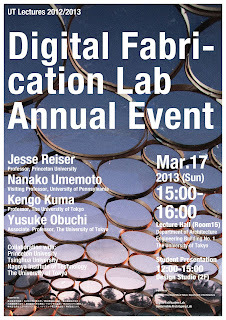 In addition to DFL, Sustainable Prototyping Lab(SPL) is starting up this spring at the University of Tokyo. This is a new lab established to research topics on sustainability and urbanism. 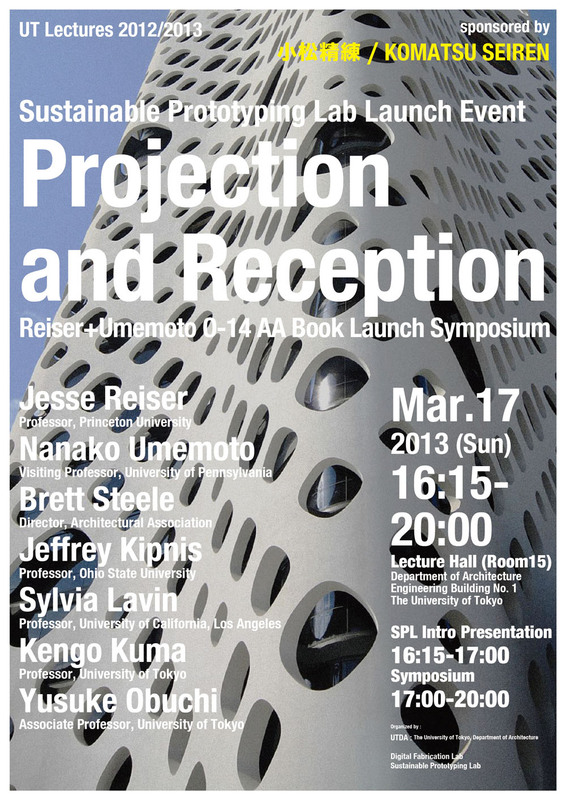 The SPL launch event will be followed by Reiser +Umemoto's O-14 AA book Launch Event joined by distinguished architectural critics from around the world. 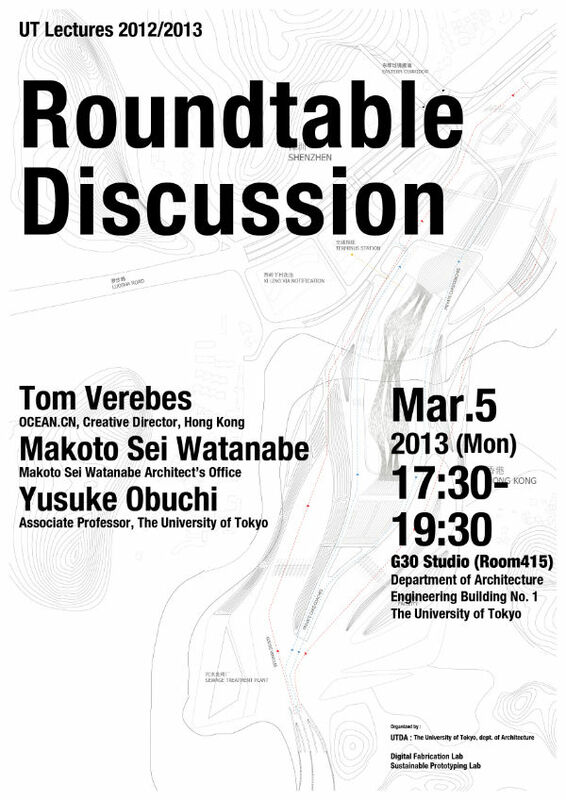 Yusuke Obuchi invites Tom Verebes and Makoto Sei Watanabe for DFL Roundtable Discussion on Mar. 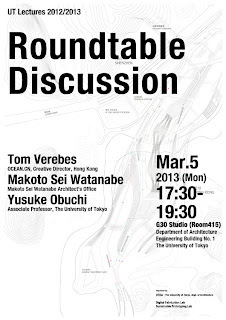 5th at the University of Tokyo. Holger Kehne of Plasma Studio will lecture on Mar.4th at the University of Tokyo. Holger Kehne studied architecture at the University of Applied Sciences in Muenster, Germany and at the University of East London. He is a former Unit Master of Diploma School at the Architectural Association in London, Guest Professor for design, MArch2 programme at the University of Hong Kong, and Honorary Professor at Xi’an University of Architecture and Technology in China.